Having researched alternative options on the internet, we were contacted by our client who was a first time developer based in the north of England. 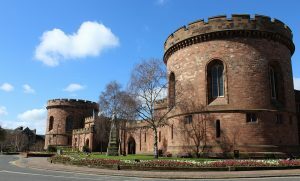 He had located a plot of land without planning on the outskirts of Carlisle city, upon which he was hoping to develop three houses. Upon completion of a fact find with a member of our Specialist Lending team, we were able to facilitate the purchase of the land initially. Following this, when planning was eventually granted, we were able to secure the funding on all the build costs of the project to 100%. As the development progressed, once the three properties were water tight (secured roofing, doors and windows) we were then able to reduce the rate of interest on the loan and allow the client a further 12 months to sell the properties off in order to repay. Regardless of the fact that at the time the client was an inexperienced developer we were able to source funding up to 70% LTGDV.